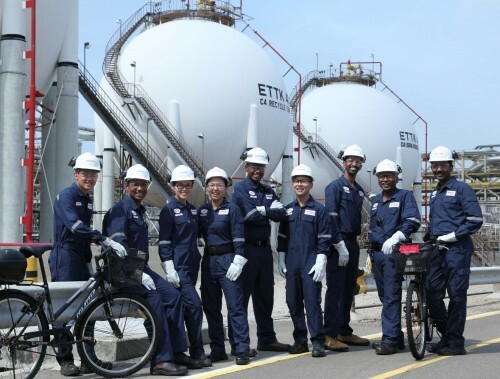 SINGAPORE - In a bid to improve work processes, Straits Construction last week held its inaugural Productivity and Innovation Week - the first by a construction firm here. The four-day event saw the company run workshops, lectures and exhibits, all to the tune of stepping up productivity at the workplace. 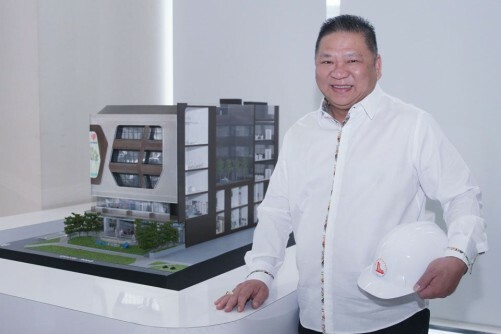 Straits Construction chief executive Wong Chee Herng said last Friday that such an event promotes thinking out of the box and allows his staff to improve on existing work practices. 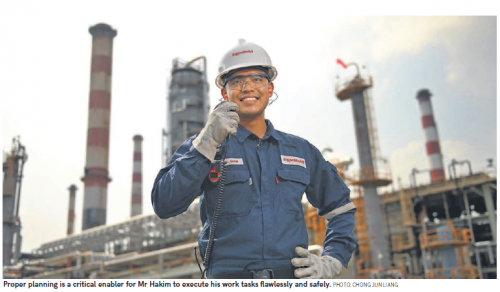 Such steps are important in the face of increasing foreign labour restrictions, he said. "Increasing productivity is the way forward," said Mr Wong, speaking at Toolbox in Tuas - the firm's innovation lab that was launched last year. "We realised it was important to relook the way we did things. We invested heavily in machiner and equipment, changed some of our work processes and ventured into new technologies." 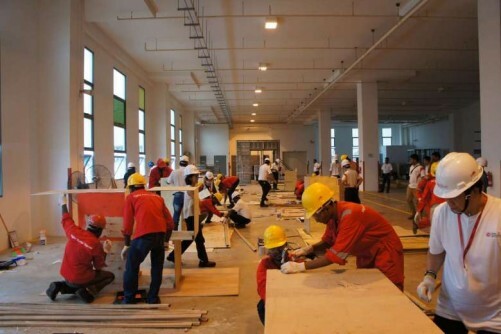 Among the event's activities was a Productivity and Innovation Challenge, in which employees submitted product ideas to improve on-site works. The three winning ideas out of 30 submissions included a masking tape roller, a metal staircase protection cover and a wireless call button for construction site hoists. These ideas save both time and labour. For instance, the metal cover, which protects precast staircases during construction, replaces custom-made wooden covers which tend to get damaged quickly. The wireless button harnesses radio frequency to tell the hoist operator through a display unit which floor to stop the manually-operated passenger and material lift. Previously, the operator had to scan every floor for passengers. Building and Construction Authority chief executive John Keung, who attended the event's closing ceremony on Friday (Apr1), said productivity can be improved on three fronts: adopting productive technology, upgrading workforce skills and collaborating across the construction chain. 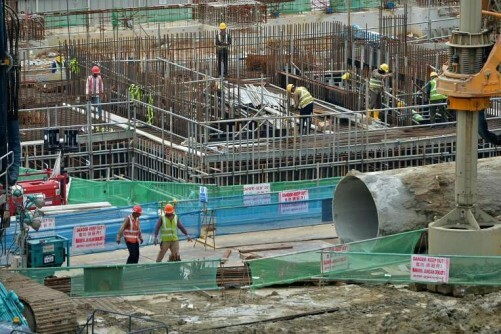 "The overall construction demand this year is expected to remain high, supported by a strong pipeline of major public infrastructure projects," said Dr Keung. "Firms should take this opportunity to restructure and reinvent themselves to stay competitive and embrace productivity and innovation for continued business growth. "By changing the way we build as well as adopting new technology and less labour intensive work processes, we can also improve the quality of jobs in the built environment sector."